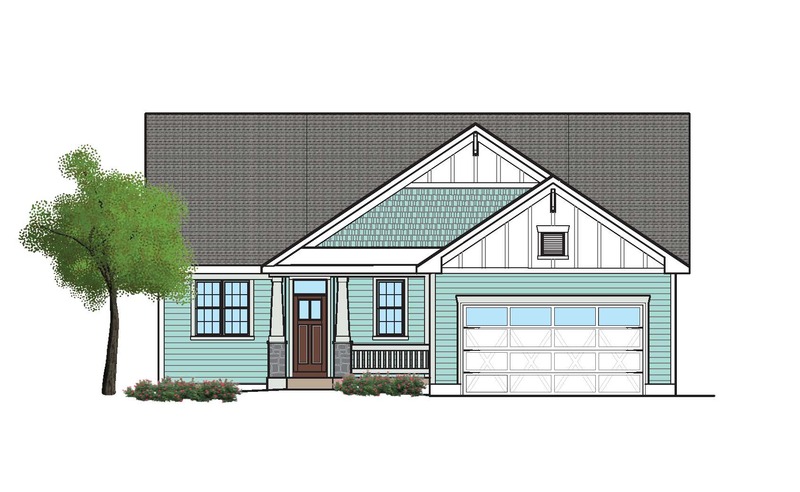 At the request of single and snowbird customers, Newport Cove is introducing the Bluelake cottage home, a 1,465-square-foot ranch with two bedrooms, two baths, a two-car garage and a full basement. This home will have the same high-quality finishes (Anderson windows, LP SmartSide, Certainteed lifetime roofing, solid oak flooring, stainless appliance package, Moen faucets, Kohler fixtures) as our other Cottage homes, but its smaller size will allow us to start the price of this little “jewel box” at $325,000. Flexible floor plan. Options for kitchen area/bonus space. Generous mudroom with bench and coat hooks plus closet. Patio becomes deck on lookout basement lots. Garage fits two cars plus golf cart. 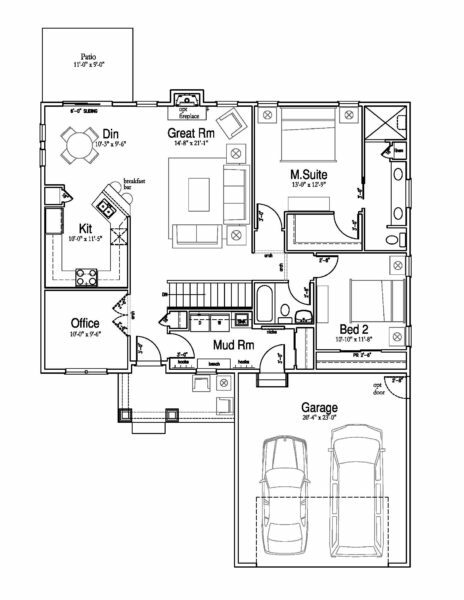 Download the complete Bluelake floorplan. 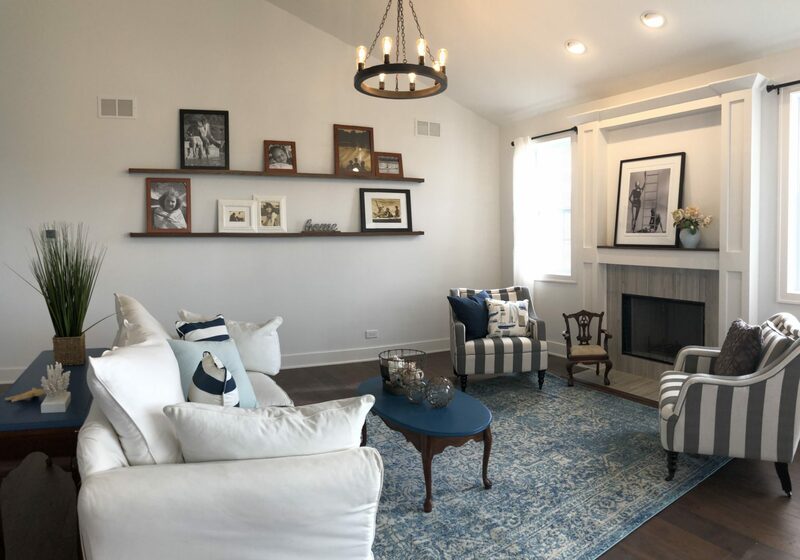 Finishes that are upgrades in other developments are standard in the Cottages, including low-maintenance composite siding, full basements, hardwood flooring in the home's public areas, stainless steel kitchen appliances, as well as top brands in window and plumbing fixtures. All plans can be accommodated to your specific needs and desires.